Dennis Wilcock is probably mostly known as being the legendary Iron Maiden singer following one Paul Mario Day (who later went out to front More and sing for Andy Scott’s Sweet). Alongside Steve Harris he ran the early Iron Maiden. But in 1977, with the addition of keyboarder Tony Moore, cracks began to show. Dennis definitely had his own vision of where Iron Maiden needed to be heading to become successful. Somehow his ideas did not appear to be in synch with what Steve Harris thought. Dennis Wilcock did not take long to form his own band and soon went into Spaceward Studios and recorded a demo. Soon after the release of the mentioned demo tape, the end had come for V1. Whereas Dennis Wilcock had left Iron Maiden to form his own band V1, his future Gibraltar colleague, guitarist Tony Miles, was active in a band called Tush. Between 1976 and 1978 Tush played the same London gig circuit as Remus Down Boulevard, Urchin, Iron Maiden etc., everyone used to know everyone else, it was a small world. V1 was obviously built from that scene, as eventually was Gibraltar. In early 1979 Dennis Wilcock was looking to join a new band . And thus he became the singer of Gibraltar. 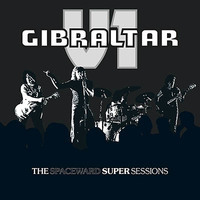 Gibraltar was in existence between 1978 and 1981 and recorded the three tracks ‘You Drive Me Crazy’, ‘Mrs Marshall’ and ‘Sixteen And Loose’, again in Spaceward. Now, High Roller Records compiles the demos of V1 and Gibraltar on one mini-album. 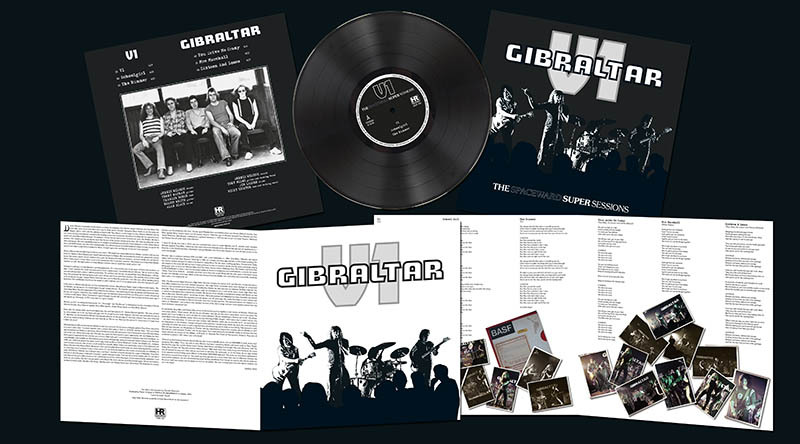 Ltd 250 copies on black vinyl in heavy cardboard cover with 4 page insert.